When it comes to pandas all we can think about is cuteness. No doubt that it is the cutest animal in the world but there is a naughty side to the animal as well. You will be surprised to know that there are several amazing interesting facts about pandas that you might not have known until now. So, let us get started. Thinking about giant pandas you might have the image in your mind that it still going to be small. However, you should get thing thought out of your mind because the moment you will see the actual panda in action you will be surprised. You should know that a real giant panda can be as big as a small bear. However, they are commonly larger than your teddy bear. It means that you better stay away otherwise they can easily land on you like you are their teddy bear. Most people have the misconception that pandas are eating and sitting all day and they cannot do anything. However, when scared, intrigued or planning to purpose their partner, a panda can do some of the most amazing things that you cannot even imagine. Despite their size pandas are a very quick climber. When they will feel like they are in danger, they will climb the nearest tree faster than you can imagine. In the same way, pandas are great swimmers as well. they love to be in the water and enjoy going from one side to another. However, how great they will do in deep water is not known yet. While looking at the panda you will be surprised to see the huge big eyes of the animal. We all know that their eyes are covered with the black fur and it is one of the biggest reasons that they appear bg. However, the strength of their vision cannot be determined by the size of their eyes. Despite having the big eyes, the vision of pandas is not very strong. 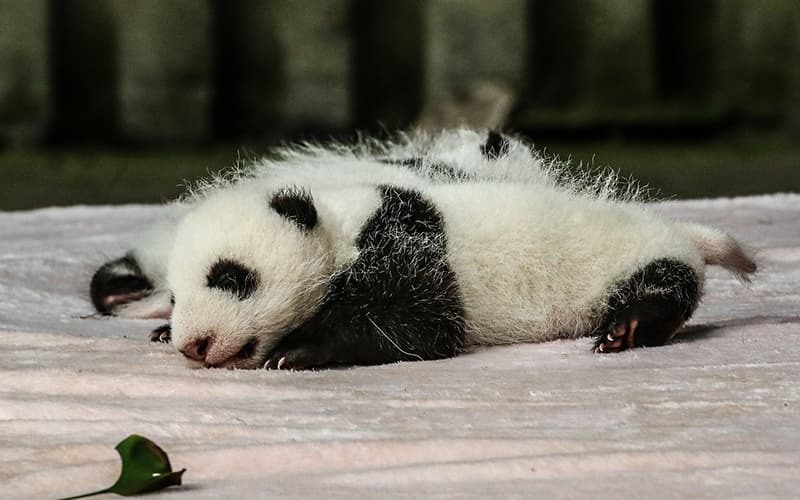 You will be surprised to know that the baby pandas are born blind and with the passage of time they will develop slight vision but it will be not as good as it should. However, their sense of smell is extraordinary. We all know that bears are famous for being a warm-blooded animal who hibernate in the winters. All types of bears will go into hibernation except pandas. Just like all other animal pandas will be roaming in the jungles in winter as well. It means that if you are planning to see a panda in winter you will surely get your chance. 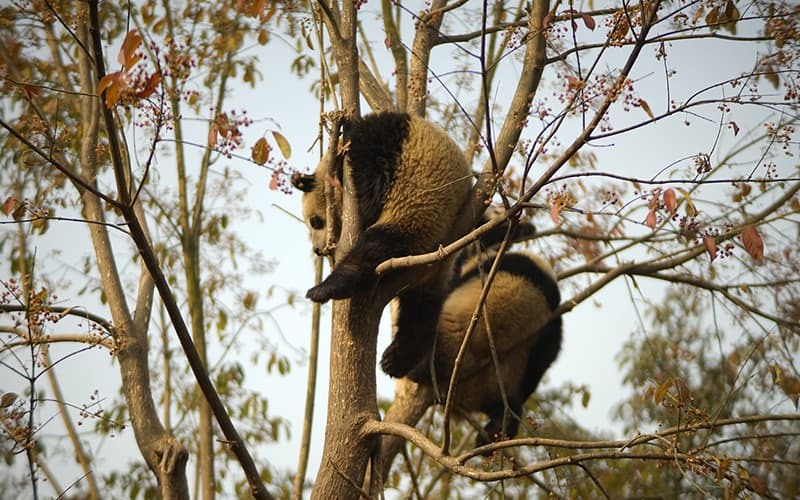 However, experts are still not able to find out that why pandas will not hibernate when they are exactly similar to bears in many unique ways. Panda is an endangered animal and there are only a few of them left in the world. This is the reason that over the past few years the rate of panda has been dramatically increased. This one of the biggest reasons that there is no zoo in the USA that actually owns a panda. You will have to pay the rent $1 million per year with tax for keeping the panda in the zoo. According to the management authorities, you will only get the panda for the 10 years contract which means that you will have to pay $10 million for a single panda. The last panda that was found outside China was Chi Chi in London. 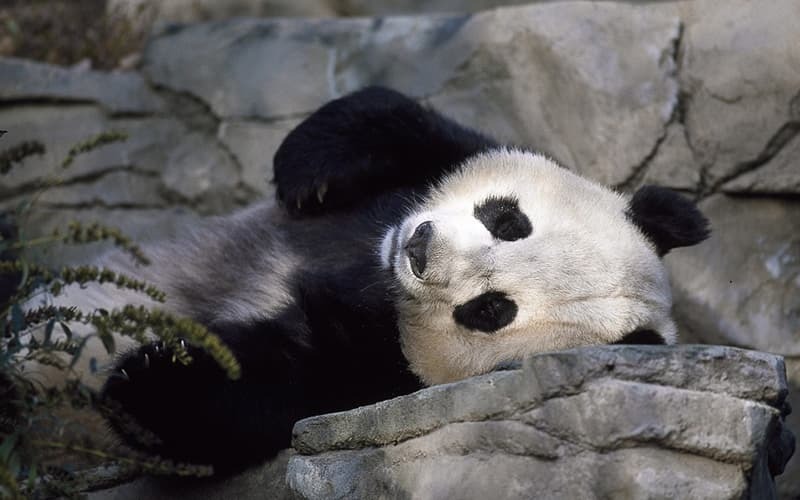 The biggest attraction of the panda is that despite being cute, it is a very lazy animal. You will never see a panda working until it is threatened. They will eat for as long as they like that is most probably 14 to 16 hours. The reason behind the continues eating is that panda cannot have enough calories from the bamboo and they only eat bamboo. 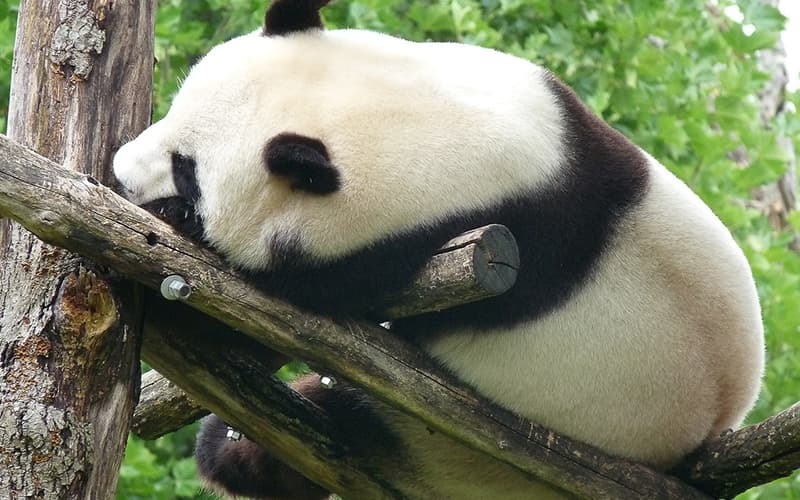 Once they are done with eating, the panda will go back to sleep. They will repeat the same cycle their entire life until there is a necessity of doing something else that is important for the panda. Most of us have seen a panda when it is properly grown. However, the baby pandas are born in August and if you will pay close attention to you will notice that the babies are pink. After a few days, the white fur will start to appear on their body. In the early stages, the panda is white in color and there are no other shades on its body. However, with the passage of time, the black pigmentation in the body of panda will begin. It means that panda undergoes a complete color transition. One of the most surprising and interesting facts about pandas is that it can easily poop for about 28 kilos per day. All the bamboo that is not properly digested can be clearly seen in the poop of the animal. The bamboo in the poop of panda is commonly used for the production of frames and it will not smell bad. Another fact you need to consider is that poop of panda can be used to track the animal down in the wild. It means that you can use the poop tracker if you are looking for a panda. Want to see a real panda? Join in our China tour. We will make an unique panda tour for you. All-inclusive and save your time. Belows are our most popular China tours. Have a look and tell our travel consultants what's your need. All itneraries can be revised on your requirements!